From the sharp tailoring of Michael Lo Sordo to the avant-garde looks of UTS design graduate Lucy K, Estate of Mind sets itself apart from the Crown St retail pack. 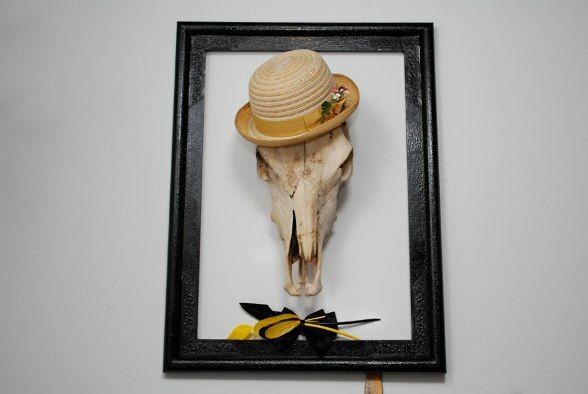 We couldn’t think of a better location for this fashion wonderland, adorned with ornate empty frames and straw boaters perched on wall-mounted antlers. Want a leather bowtie, a piece of aztec-esque jewellery or a sheer maxiskirt? Try How Typical of Metal, Maskarada and Ashleigh Taylor. Want something that you won’t find on every second girl at Cafe Lounge on a Friday night? Try anything - we recommend Serpent & the Swan and Virginie Lynn. Shop content in the knowledge that you are supporting our fashion industry from the bottom up, encouraging creativity and nurturing talent. We caught up with owner and buyer, Sylvie Cornu, to talk about everything weird, wonderful and wildly exciting about young Sydney fashion. +ESTATEofMIND is a new concept store designed to help support Australia’s best up and coming fashion designers. Why did you choose Surry Hills? 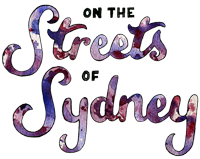 I chose Surry Hills, because I wanted to attract the attention of the weird and wonderful and with Crown Street being the Hub of all cute and quirky I thought it would be the perfect location to inject a new concept store specifically designed for this genre. I personally love shopping on this strip as I’m not a fan of mass produced clothing, I knew with no doubt id be able to find something unique and different in the long list of fabulous shops that adorn this street. I stock a range of men and woman’s labels such as Michael Lo Sordo, Lucy K, Serpent & the Swan, Ashleigh Taylor, Tale Told, Flowers for a VagabOnd, Virginie Lynn, Gossip and Orri Henrisson. Do you have any accessory labels? Love & Luck for bags, St Looi Blues and KeilanaSkye Industries for shoes, MOSS by Mia, Ghoullery, Cherrytree Road and Maskarada for jewellery, How typical of Metal for leather bow ties, Ginny & Jude for hats and hair pieces and last of all Abe & Sara vintage sunglasses. What is your favourite label? Each label has an aspect I love so this is an extremely hard question! But if i was to narrow it down I would have to say the Lucy K label for its avant-garde designs and use of contrasting textures, fabrics and colours. This designer is an incredible talent, having only just graduated from UTS in 2010, Lucy is definitely a star in the making! Tell us about the design of the store. The store draws a strong influence on my love of the dark and quirky featuring a collection of skulls I have been accumulating along my travels throughout Europe and especially Mexico, mixed in with a touch of femme fatale and a overall mash up of eclectic madness! Why the focus on young designers? Having come from a design background a new how hard it was to get a start in the industry with most Aussie designers needing to export their wares to be ’seen’ and ’heard’, +ESTATEofMIND gives our home-grown talent a start in the industry. With the rise of mass produced clothing, a lot of people are now wanting to look for unique labels that they know 20 other people wont be wearing the same thing, but don’t know where to find them so I created a fashion wonderland which is just the place! Most of my labels only do limited styles and sizes making it more exclusive and unique. What do you see in the future of Estate of Mind? As I’m deeply infatuated with anything art, fashion and design based, in the future I’m hoping to have art installations and collaborate with a wide range of creative types as well as to look into expanding to international emerging designers. Originally coming from a small town near Byron Bay, the bright lights and fast life always attracted me to Sydney! And with luscious beaches, great restaurants and a rising underground art and fashion scene- what’s not to love about Sydney! But favourite thing would be the fact there is a little bit of everything here and if you want a change of scene you don’t have to go far to find it! Visit Estate of Mind at 34/277 Crown St, Surry Hills 7 days a week or give them a call at (02) 8021 941.